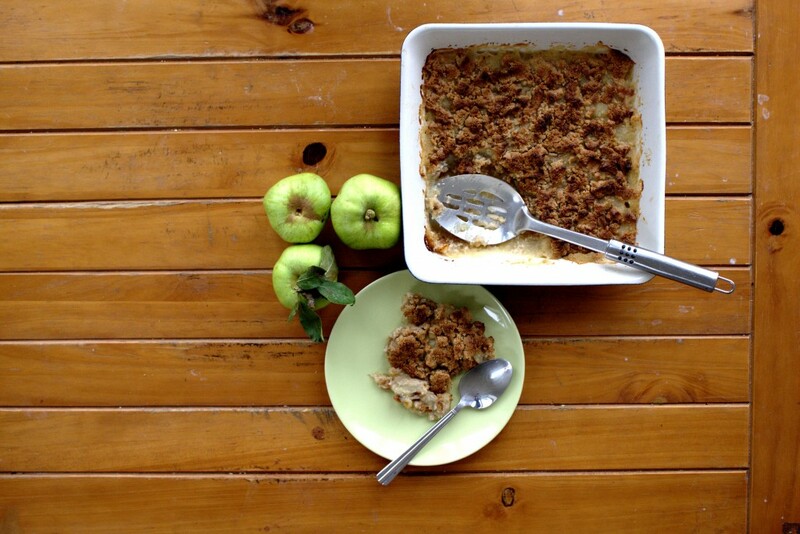 With an abundance of delicious cooking apples from my parents-in-law’s garden, what better to make than a sumptuous apple crumble? This dessert is perfect for this time of year when the weather is getting crisper and we are all craving warm, comfort foods. 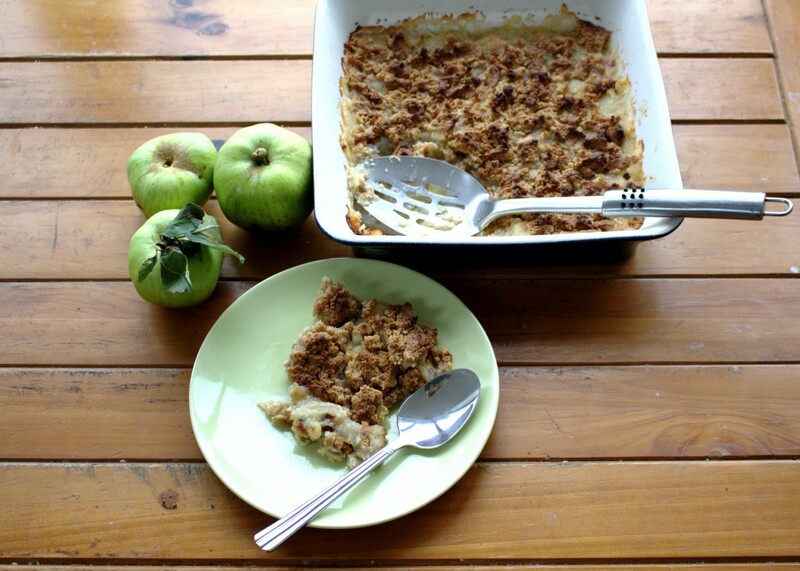 My daughter Ciara, was particularly interested is helping me bake this one since she picked the apples. 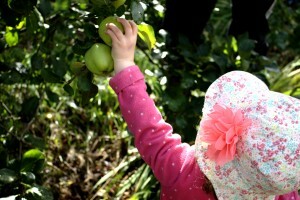 I love teaching her about good food and where it comes from. Her only problem is waiting for things to cook! She is even helping me to stage my food photographs lately. She has her own little camera (one of my old ones) that she uses and follows me around the house. Yesterday when her daddy called her she shouted out “Daddy, we’re busy taking our photographs!”. It’s very cute! 1 teaspoon Vanilla extract* *Make sure no added sugar. Peel, core and chop the apples into pieces and place in a saucepan with the water on a low heat. You will need to stir every so often to make sure it doesn't burn. The apples will take roughly 20 minutes to form a sauce. Meanwhile grease an ovenproof dish well with coconut oil and preheat the oven to 160°C Fan, 180°C electric, 350°F or gas mark 4. In a bowl mix the almond flour, ground spices, melted butter, honey and vanilla well with a wooden spoon until thoroughly combined. 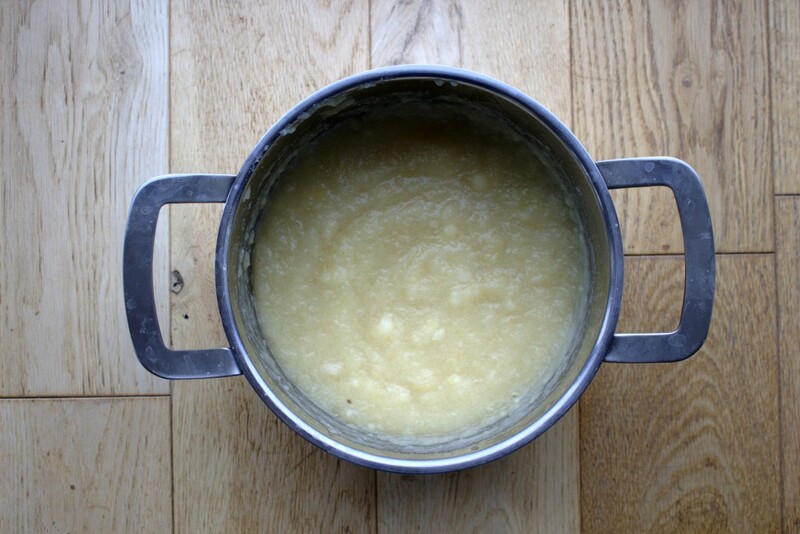 Once the applesauce is ready (it should be smooth with no lumps), pour that first into the greased dish. *Note: The applesauce was perfect for me with no honey added because the topping is sweet but my husband thought it was still a little tart. 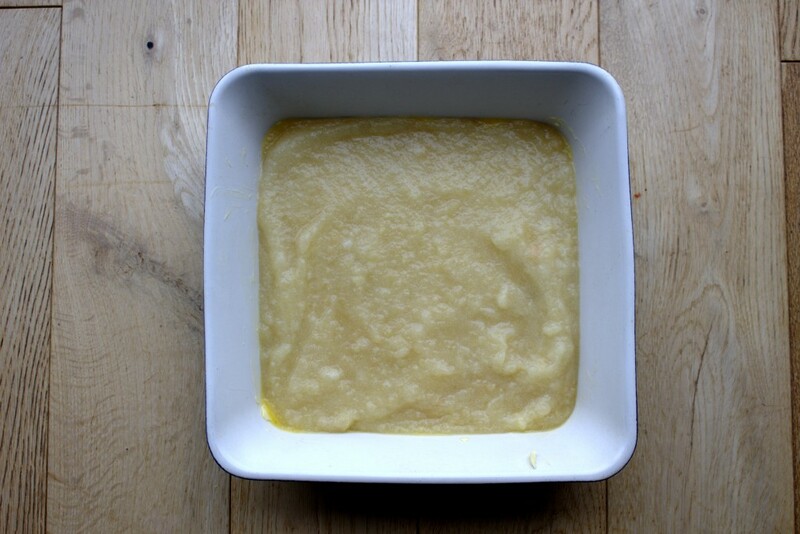 If you like desserts very sweet you could add a tablespoon of two of honey to the sauce. 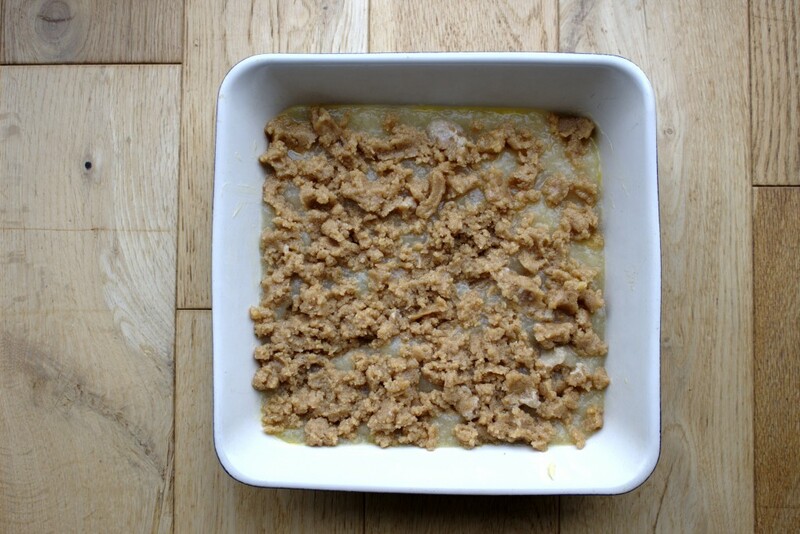 Using your hands spread the crumble mixture on top as evenly as you can. It's sticky so do your best! Cover the dish in tin foil and bake for 20 minutes. Then remove the tin foil and bake for a further 20 minutes until crispy and golden brown in colour. Enjoy!